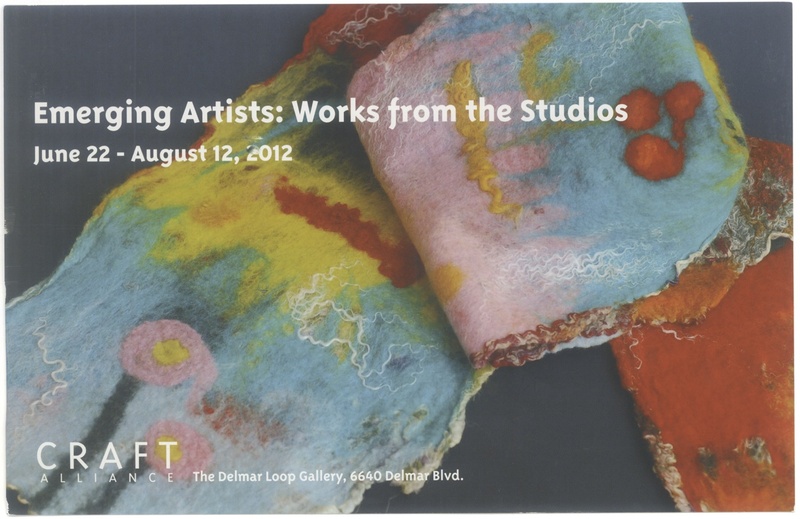 Congratulations to Nadine Potter, another of our KM buddies, whose art is featured on this postcard announcement of Emerging Artists: Works from the Studio, an upcoming exhibit at Craft Alliance Delmar Loop Gallery. If you’d like to see this piece and say hello to Nadine, come to the Opening Reception on Friday, June 22, 6:00-8:00 pm. If you can’t make it on Friday, plan to stop by the gallery later in the summer. The exhibit will run from June 22 through August 12, 2012. For more information on this and other upcoming Craft Alliance shows, click here.